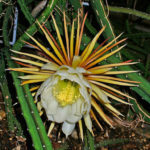 Selenicereus pteranthus is one of the most popular night blooming cacti. 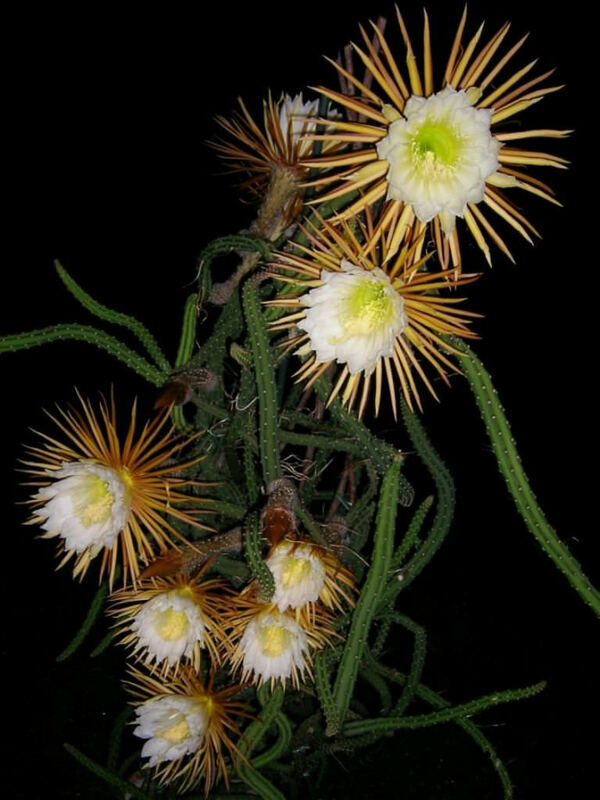 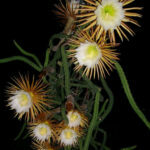 It is a perennial, vine like, clambering or scrambling, spiny, leafless epiphyte, with 4 to 6 angled stems up to 10 feet (3 m) long and up to 2 inches (5 cm) in diameter. 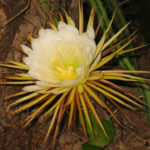 The conic spines are solitary or in clusters of 2 to 4. 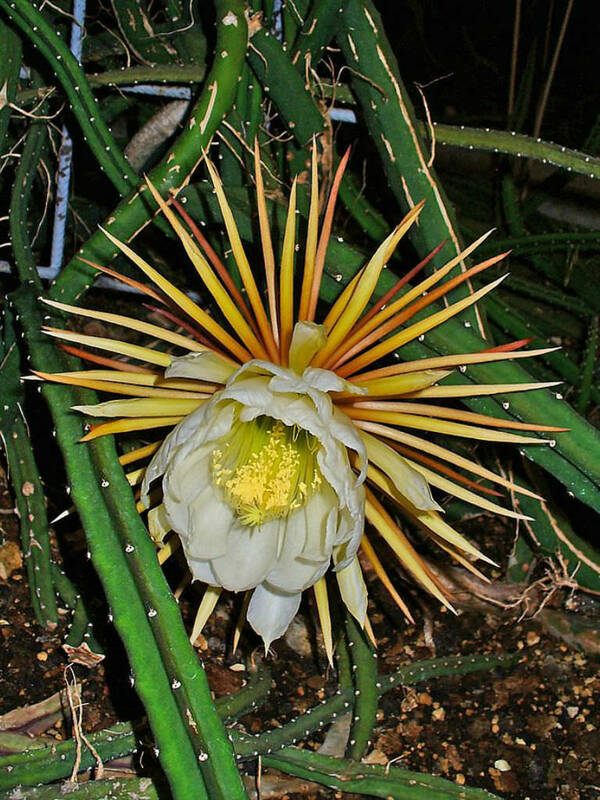 The flowers are spectacular, very fragrant, trumpet-shaped, white or pale cream and up to 12 inches (30 cm) long. 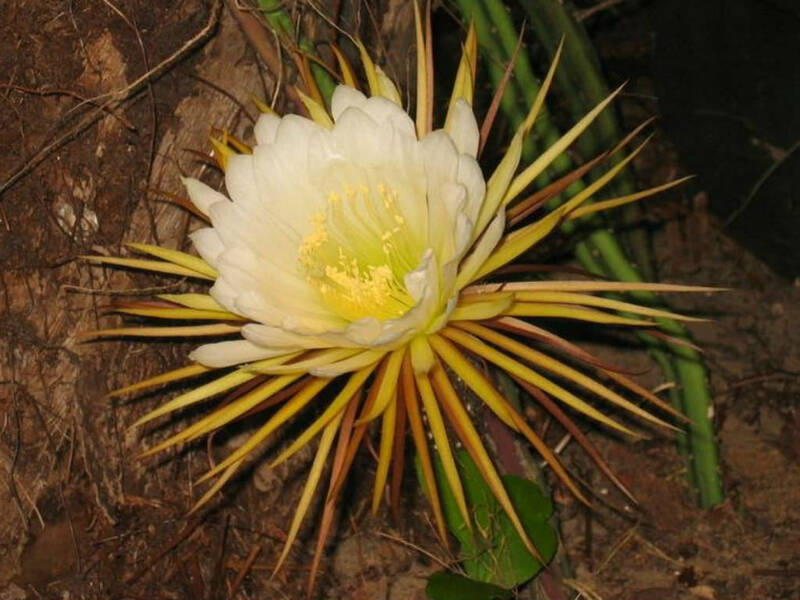 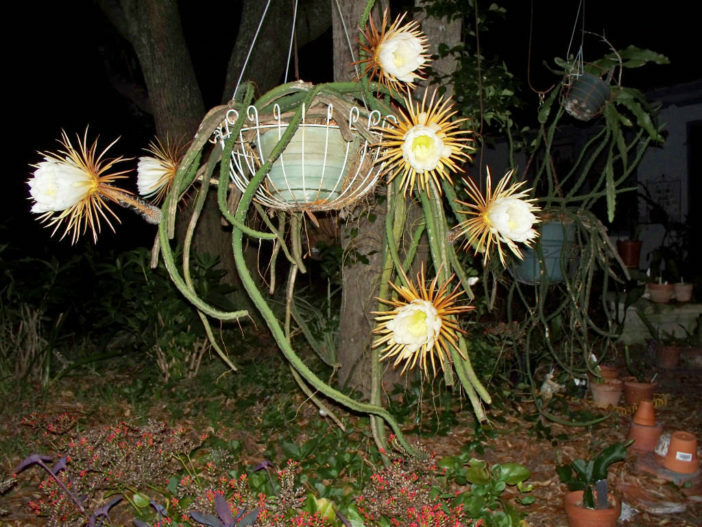 Selenicereus pteranthus has a wide distribution, occurring in the Bahamas, Cuba, Haiti, Cayman Islands, and Mexico.